What Can I Plant Now? 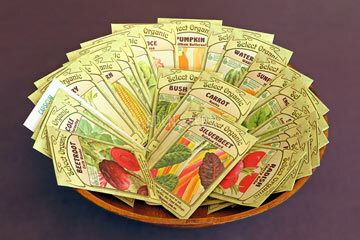 We back our seeds & products with our full customer satisfaction guarantee. 26 different packets of our certified organic old traditional vegetable seeds. A great gift idea for a friend! Please note: The "26 packet special offer" is only available as our pre-selected set, if you would like to order your own selection then the normal rates apply ($4.00pp + P&H).